The ∼ 150 km3 (DRE) trachytic Campanian Ignimbrite, which is situated north-west of Naples, Italy, is one of the largest eruptions in the Mediterranean region in the last 200 ky. Despite centuries of investigation, the age and eruptive history of the Campanian Ignimbrite is still debated, as is the chronology of other significant volcanic events of the Campanian Plain within the last 200–300 ky. New 40Ar/39Ar geochronology defines the age of the Campanian Ignimbrite at 39.28 ± 0.11 ka, about 2 ky older than the previous best estimate. Based on the distribution of the Campanian Ignimbrite and associated uppermost proximal lithic and polyclastic breccias, we suggest that the Campanian Ignimbrite magma was emitted from fissures activated along neotectonic Apennine faults rather than from ring fractures defining a Campi Flegrei caldera. 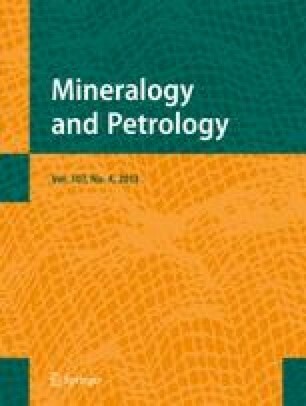 Significantly, new volcanological, geochronological, and geochemical data distinguish previously unrecognized ignimbrite deposits in the Campanian Plain, accurately dated between 157 and 205 ka. These ages, coupled with a xenocrystic sanidine component > 315 ka, extend the volcanic history of this region by over 200 ky. Recent work also identifies a pyroclastic deposit, dated at 18.0 ka, outside of the topographic Campi Flegrei basin, expanding the spatial distribution of post-Campanian Ignimbrite deposits. These new discoveries emphasize the importance of continued investigation of the ages, distribution, volumes, and eruption dynamics of volcanic events associated with the Campanian Plain. Such information is critical for accurate assessment of the volcanic hazards associated with potentially large-volume explosive eruptions in close proximity to the densely populated Neapolitan region.